Hehe, if I was playing Scattergories, I'd get an extra point for my title! Polymer clay is an amazing medium that you can do so much with. There are millions of polymer clay beads a beader can use. But what always gets me excited are some of the amazing works of art created by polymer clay artists. I see these precious pendants, drool over them, and think of all the ways I can incorporate some beads to compliment them! Here is a treasury I created of some "Polymer Pendants I Adore"
I am in awe of polymer clay artists. 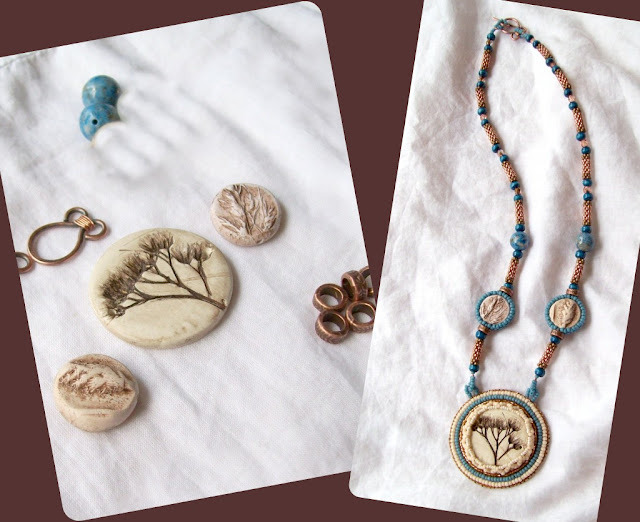 I was the lucky recipient of a wonderful polymer clay focal, by BeadsByEarthTones, when I was able to participate in the Bead Soup Blog Party last August. I sure had fun setting those polymer pieces with some beads!! See you tomorrow when "Q" is the letter of the day! I love this but I do have to turn you on to another awesome polymer artist. Jeannie Dukic. I am in her Echo Creative Club and if you love polymer you WILL totally love her pendants! Oh and that soup piece is still totally one of my favorite of your masterpieces! I can only dream about them.There's nothing like that existing on the planet called Sweden:-)I even thought of making them-there's no polimer clay available in the specielized shops for artists.Here,there is commonly a some kind of 'minimalism' and simplicity characterizes all kind of jewels made in Sweden.I would be eager to say:there's a Kingdom of Nothing here,or the development of all the stylization has got stuck in early 70-ties.I like the 'clarity of the space' in interiors' designs,but as concerning jewelry-I love Sparklysies:-) So-no polimer cabs,no polimer beads-only if You import them from other countries-i.e.Hungary,where they are really nice and commonly met,ot the US,where I import my almost all beads from. Once I was promissed by one Woman to be given...She's never sent them to me-I've never got them.I'm still 'dreaming'-until I find the really fine shop,where I'll purchase them. I have played around with polymer clay but nothing like these artists can do. I love that necklace and I thought that I recognized it when I first saw it as one that I had seen before. Gorgeous necklace and treasury...I've got to go and check out some of those piece. There are some really gifted polymer clay artists out there!! I envy their skill! 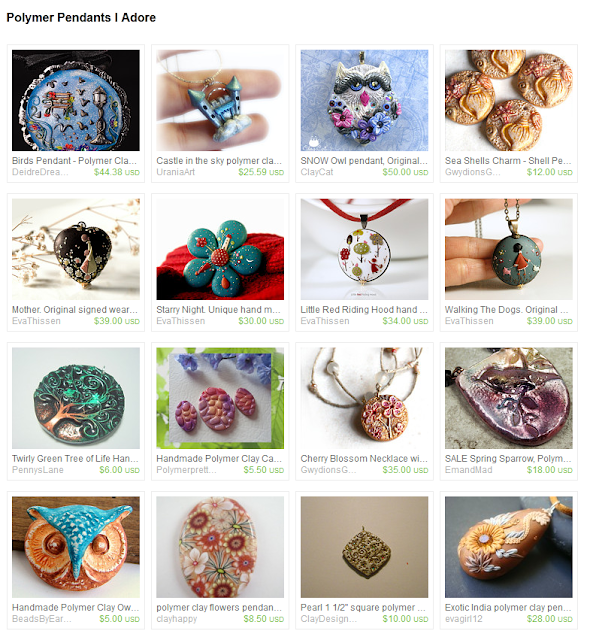 Hey Amy, I am in awe of polymer clay artists too and am loving that treasury. It is hard to say which pendant I like the best because there are some really amazing pieces there. Loving what you did with the pendant and beads you received for Bead Soup. Your beadwork is a perfect compliment for that pendant.